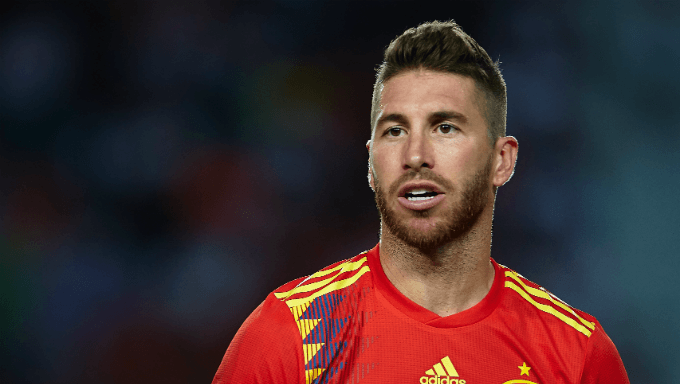 England head to the Estadio Benito Villamarín in Seville hoping to avenge the 2-1 defeat inflicted upon them by Spain in their opening match in the inaugural UEFA Nations League. The Spaniards dented the Tree Lions’ World Cup high last month courtesy of goals from Saul Niguez and Rodrigo. The worry for England will be that even with their sky-high confidence, home advantage, and an early goal, England were still unable to get the best of Luis Enrique’s new-look Spain. Since Spain got their act together and started to get the kind of results their quality had always threatened, England have not really managed to muster much resistance. In fact, they have, for the most part, struggled to score never mind win. Marcus Rashford’s strike at Wembley last month was just the fourth England have managed against Spain in their last seven meetings. It’s perhaps no surprise, then, that Spain are odds on favourites no matter where you go. Bethard’s 5/6 on a Spanish win is typical, as is the 3/1 you can get on an England win. Still, given you have to go all the way back to 1987 to find an England away win against Spain, that’s probably quite good value. If Spain’s come-from-behind victory over a buoyant England at Wembley wasn’t impressive enough, the fact that they didn’t rest on the laurels should sound alarm bells for the rest. They absolutely walloped World Cup finalists Croatia – conquerors of England in Russia – 6-0 just a few days later. If you were wondering whether or not the Croatians fielded a weakened team, then think again. Luka Modric, Ivan Rakitic, Ivan Perisic and plenty others stars of the summer played, so Spain’s win really should be taken seriously. Once again it was Saul and Rodrigo who led the way with a pair a piece although, interestingly, neither player have scored at club level since, so they may have gone off the boil somewhat. One man who does appear to be coming back into form after a really tough time of it of late is Alvaro Morata. The Chelsea man has struggled since moving to the Premier League, but he has hot two goals in his last two games, against Vidi and Southampton, and he’s starting to look a lot more like his old self. Isco is another Spaniard to look out for in the first goalscorer market given he has hit three in his last four matches for club and country, and Sergio Ramos seems to have a taste for English blood if last season’s Champions League is anything to go by. There is a lot to admire about what England are trying to do under Gareth Southgate, and it so nearly paid off in spectacular fashion at the World Cup. The former Aston Villa defender named a young, vibrant, largely experimental squad for Russia and it certainly felt fresh. It was root and branch change, and it delivered. The question that now must be answered is whether that change is sustainable. Southgate has not forgotten what has worked for him before, and he has rolled the dice again on youngsters like James Maddison and Jadon Sancho, with the latter really catching the imagination. The Dortmund winger is just 18 and has never played a senior game in England, but his form in the Bundesliga has been brilliant this season. For England, Marcus Rashford is in some decent form, scoring three in his last six. Harry Kane is typically in fine form too with four in his last four. Against Spain, though, it will be a question of whether England can get enough of the ball to feed their forwards. If they are going to score, set-pieces could be crucial, particularly given the success England enjoyed in that area in Russia. Harry Maguire and John Stones should come into plenty of people's thinking, then, in both the first and the last goalscorer markets. Spain are favourites for a reason and so finding value on a home win will not be easy. Backing Luis Enrique’s men to win to nil is one way to do it, especially with England’s historic troubles scoring in this fixture.